eero, one of the first consumer-friendly mesh WiFi router systems (our mini-review) that likely caused a major shift in a stale industry, announced its 2nd generation eero system today, along with a new product called eero Beacon. The devices should be faster and more powerful, but also more expandable than the original eero was. First up, we have eero (2nd generation). This product fits in the same shell and shape as the 1st gen eero, but the company says that it is “more than twice as powerful.” Eero claims that this is the “first and only WiFi access point of its size that can broadcast on three wireless bands simultaneously.” That’s triband WiFi, of course (2.4GHz, 5.2GHz, and 5.8GHz wireless) and could mean double speeds. The new eero (2nd gen) also switches to USB Type-C for power, has a reset button that doesn’t require a pin or paperclip to press, and still contains the two auto-detecting ethernet ports. With eero Beacon, the totally new product, eero is delivering a wall plug version of its router system that allows you to extend your WiFi into any room with an outlet without the need for a shelf or a place to set a standard eero unit. Beacon is dual-band (2.4GHz and 5GHz wireless), but does lack the ethernet ports. That makes sense, since the idea here is to be slim and out of the way. Still, even as small as it is, eero says to expect a 30% performance boost in Beacon over the 1st gen eero units. Oh, it acts as a night light too, with an automatic dimmer or manual light controls. Additionally, eero announced a new eero Plus service today that costs $10 per month or $99 per year. It’s a subscription security feature to better protect your eero WiFi system and includes protections agains malware and phishing attacks, plus it has “enhanced” parental controls, and gives you access to VIP eero support. eero says to be on the lookout for a shiny new app by the end of the month as well. Finally, you may be asking if eero (2nd gen) and eero Beacon work with the eero (1st en) system you already own? The answer is, yes. Should you decide to upgrade, you can add on new 2nd gen or Beacon pieces as you please. The whole setup of the new devices is backwards compatible. eero (2nd gen) and eero Beacon ship within the next few weeks (end of June). eero is launching starter packs like 1 eero + 1 eero Beacon for $299. You’ll also find a 1 eero + 2 eero Beacon pack for $399 and a “Pro” system with 3 eero (2nd gen) units for $499. For more info, feel free to checkout the blog post eero posted this morning. 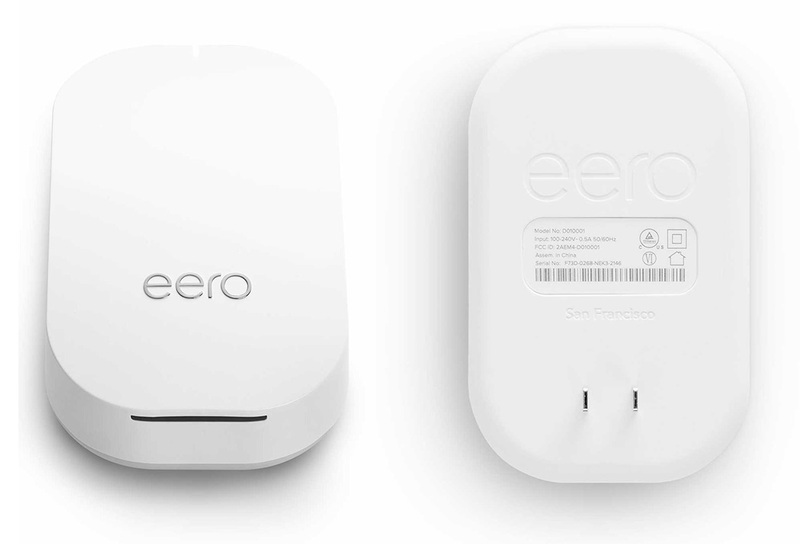 SAN FRANCISCO, CA–(Marketwired – Jun 13, 2017) – Today, eero inc., creator of the first home WiFi system, introduces the 2nd-generation eero and eero Beacon — all new powerful products that make up the most intelligent and customizable WiFi system on the market. eero (2nd generation) is twice as powerful as its predecessor and is the first WiFi access point of its size with tri-band technology, making it possible to do more in every room of the home. eero Beacon is half the size, and plugs directly into a wall outlet, making it easier to place around the home. Also announced today is eero Plus, a premium subscription service that provides members with advanced security for their network and all of their connected devices. eero’s TrueMesh software makes it possible to add as many eeros and eero Beacons as needed to seamlessly cover any home. TrueMesh monitors the connections between eeros to find the best route for data and dynamically switches pathways through the network to avoid interference. eero also intelligently switches a device’s connection between access points to ensure the fastest, most reliable connection. This allows for a better WiFi experience throughout the home. 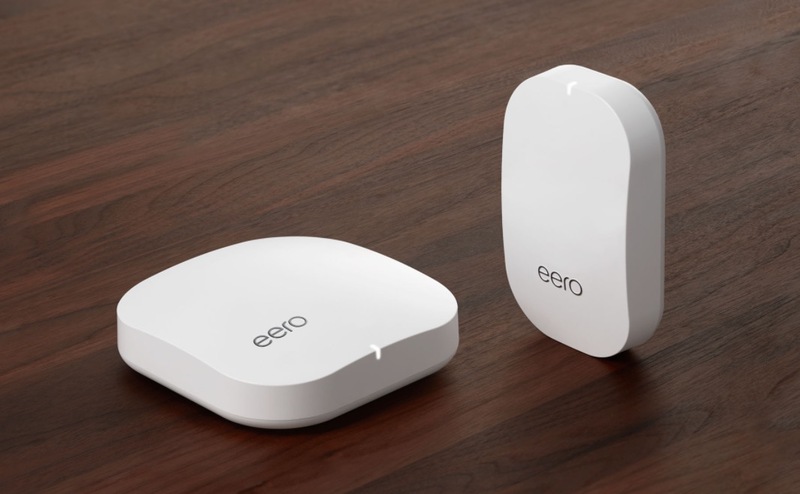 eero (2nd generation) has the same elegant design and footprint as eero (1st generation), but is more than twice as powerful. It is the first and only WiFi access point of its size that can broadcast on three wireless bands simultaneously (triband WiFi), doubling the speed of its predecessor. As the gateway of an eero WiFi system, eero has two auto-detecting Ethernet ports. One connects directly to the modem and the other port provides the option to hardwire devices like an Ethernet switch, printer, or video game console. Powerful tri-band radios — stream, game, work, and play, from every corner of the home — and from the backyard, too. Mixed topology — connect over either Ethernet or wirelessly, in any combination for complete network customization and the best performance. eero Beacon is half the size, but even more powerful than eero (1st generation). After a year and a half of collecting customer insights and feedback, eero found that more than half of customers place eeros in stairwells, kitchens, and hallways, where cords are disruptive. With eero Beacon, simply plug each unit into a wall outlet to easily expand coverage in the home. Add as many eero Beacons as needed to provide each room with WiFi coverage. Each eero Beacon is also equipped with an LED nightlight. With an ambient light sensor and automatic dimmer, it intelligently adjusts brightness depending on the time of day. Or set a specific brightness schedule using the eero app. Thread radio — connect to low-power devices like locks, doorbells, and more, to future-proof any connected home. Backward compatible — eero and eero Beacon are backward compatible with an existing eero system. Intelligent backhaul — intelligently switches eero-to-eero communication frequencies in real time, based on current network conditions, to deliver the best possible performance. Over-the-air updates — gives customers new features, performance improvements, and the latest security so the network stays new and gets better. Simple setup — the redesigned app makes it easier and more customizable than ever to setup and manage a network. eero’s network security works continuously in the background to keep systems safe and secure. eero partners with leading security firms whose experts conduct end-to-end tests to ensure there are no vulnerabilities. If a vulnerability were ever discovered, eero would be able to quickly and automatically update all online systems. Data encryption — offers the strongest, standard encryption for connections between eeros, the cloud, and the app. WPA-2 encryption — the strongest network encryption required for client devices to connect to the eero network. Profile protection — log into the app through a secure single-use code that is delivered via text. Regular security updates — tested for vulnerabilities and automatically updated monthly. With eero, every WiFi network is secure. That means that the traffic flowing between eeros and out to the internet is encrypted and safe. However, if someone visits a harmful website or connects a compromised device to the network, it may inadvertently invite an external online threat into the home. From sophisticated phishing attacks that fool even the savviest of internet users, to botnet attacks that take over devices like connected cameras, there is an increasing risk to online threats. With eero Plus, everyone using the network is blocked from accessing those sites before they even load. Unlike built-in protections included in a web browser or email, the database of threats eero Plus protects against — millions of malicious websites with ransomware, viruses, phishing scams, and more — is automatically updated every second to keep people protected. Advanced security — guards against accidentally accessing sites associated with harmful content, like malware, ransomware, and phishing attacks. Enhanced parental controls — allows people to filter out adult, illegal, and/or violent content, or enables SafeSearch for specific profiles on the network. VIP support — priority access to eero’s customer support team with limited or no wait time before speaking with a WiFi expert. “We believe this is the most comprehensive network-level threat protection currently available on the consumer market,” said Amos Schallich, vice president of engineering and co-founder, eero. The eero Home WiFi System (2nd generation) and eero Beacon are available for pre-sale today, shipping in a few weeks, in the U.S. online at eero.com, Amazon.com, and BestBuy.com. The eero system will also be available nationwide in Best Buy stores, select Walmart stores, regional retailers, and from nearly 3,000 professional installers nationwide. eero and eero Beacon will also be available in Canada for the first time on Amazon.com and at select Best Buy stores later this summer. The free eero app is available for download through the App Store and Google Play Store. The first home WiFi system, eero blankets customers’ homes in fast, reliable WiFi. eero Home WiFi System stays new, and gets better with frequent software updates, making it faster and more reliable and adding new features and security updates. Founded in 2014, eero makes it so no one has to think about home WiFi again. eero is privately funded and based in San Francisco. For more information, visit eero.com.